I threw this recipe together today so that I would have a pre-made side dish for the week. I am always looking for ways to doctor up quinoa. Quinoa is as versatile as brown rice, so the possibilities are endless. This recipe is pretty basic – I had lots of canned beans sitting in my cabinets that I felt were going to waste. I also love the flavor of browned garlic in olive oil. I think it adds such depth of flavor instead of just adding chopped garlic to a salad. Prepare quinoa according to directions on box. Set aside to cool slightly. 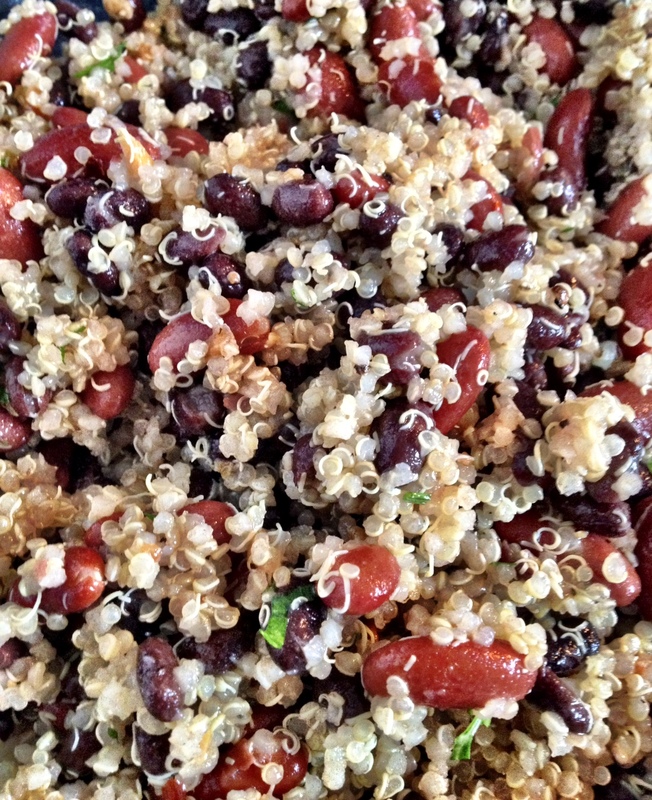 Rinse and drain beans before mixing with quinoa. Add chopped parsley and stir until combined. In small sauce pan, heat olive oil over low/medium heat before adding garlic. Gently allow garlic to brown for 3-5 minutes — be careful not to let it burn! Browned garlic is delicious, burned garlic tastes bitter and disgusting! When garlic is browned, allow to cool slightly before adding salt, pepper, and red pepper flakes. Pour oil mixture over quinoa and beans and stir.